Shabbat is a special time at camp. A time for fun, relaxation and prayers. The perfect day to spend with friends and eat good food. 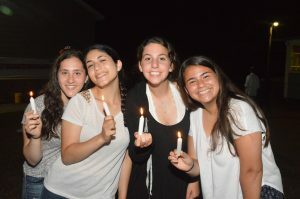 Many campers and counselors alike think Shabbat at Yavneh is one of the best days of the week! 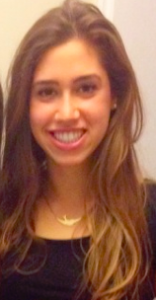 Highlighting the ruach (spirit) of Shabbat, Helen Berman, returning for her eighth year as a Rosh Aydah of maalot, is spearheading Yavneh’s weekly Dvar Torah. Each week either Helen or another Yavneh staff member will discuss the week’s Torah portion and its connection with camp life. Shabbat Shalom, Machaneh Yavneh! We have nine Shabbatot until camp and we want to share some words of Torah with you. We are living in exciting times. We have just liberated ourselves from our perceived limitations in Egypt and are engaging in a process of character refinement to prepare for receiving the Torah at Mt. Sinai. While last week’s portion, Shemini, discussed the laws of animal purity and kashrut, this week’s double portion, Tazria-Metzora decants the laws of human purity. Here, holiness is directly linked to kind-hearted speech and the sages even mention that the world was created with words in order to highlight the immense power that speech has to shape our reality! Metzora expounds upon a physical and spiritual disease as a repercussion for slander. Called tzaraat, this disease first expresses itself as green or pink patches on one’s home. If the afflicted person does not reflect on their behavior, the disease will spread to white patches on their skin. The very word metzora refers to a slanderer and derives from the words motzee-ra, “One who brings forth evil”(Midrash Rabbah, Leviticus 16.2). The physical blockage of blood that causes the skin to appear white represents a spiritual blockage of life and vitality in the body and soul. How does someone heal from this terrible affliction? The person appears before the Kohen for inspection, and is encouraged to introspect on their ways; “All the days that he is afflicted with the disease he shall be unclean. He is unclean. He shall dwell alone. Outside of the camp shall be his dwelling.” (VaYikra 13:46). Speech dramatically alters people’s relationships and striving to be more compassionate will enhance both character traits and well being! At Camp, let’s communicate with words of positivity, encouragement and empowerment towards our fellow chanichim (campers) and madrichim (counselors). In the chadar ochel (dining room), on migrash (field) sport, or in the agam (waterfront), ask yourself – how will I bring more kindness into my life and the life of others? We – the roshei aydah – can’t wait for a summer full of laughter, excitement, best friends and simcha!